My family visited Marquette at the end of August, and my two young daughters (age eight and four) loved everything about it. With its many parks and its location on the shores of Lake Superior, Marquette is a great vacation destination for kids. 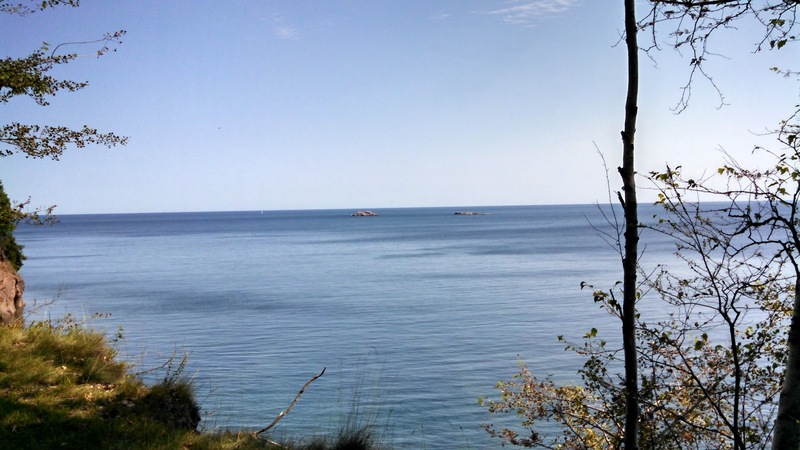 When we first arrived in Marquette, we immediately headed to the beach. Even though my daughters are used to the warmer waters of the inland lakes near Detroit, they bravely swam in Lake Superior's cool water at Shiras Park's beach. We practically had to drag them out of the water because they were having so much fun. After they swam, we let them play on the playground at Picnic Rocks Park, which overlooks Lake Superior and is directly next to Shiras Park. The highlight of our trip was Presque Isle Park. Presque Isle is a 323-acre city park on the north side of town with several foot trails through its forests. My daughters managed to walk the roughly 2 miles around the perimeter of Presque Isle. They loved the views of Lake Superior and frolicking in the water by the Black Rocks as my wife and I took turns jumping from the cliffs. 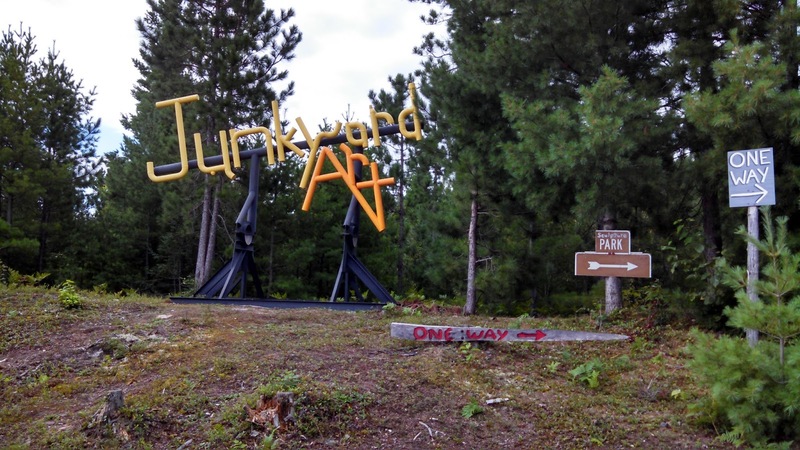 Marquette also has a lot of indoor activities for bad-weather days or days when parents don't feel like dragging young children around nature trails. The Upper Peninsula Children's Museum is in the heart of downtown Marquette. We visited on a rainy weekday. The rain may have made it a little more crowded than normal, but I dislike crowds and did not feel like the number of kids was overwhelming. 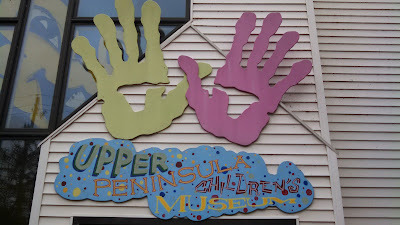 The museum offers several exhibits. Kids can sit in the cockpit of a jet and communicate with other kids in a nearby "control tower." 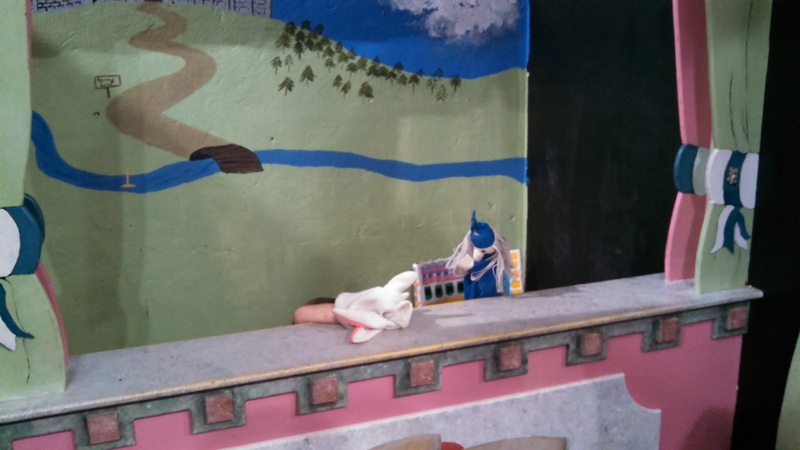 In one exhibit about water, children can get "flushed down" a toilet (it's really just a fun slide), and another exhibit allows them to slide down a pretend human digestive system. A pretend newsroom and weather map lets kids see themselves on nearby televisions. Another exhibit simulates a town with a barber shop, a fire station, a real ambulance, and more. The Creature Kingdom exhibit was one of my favorites. This exhibit has several reptiles on display. 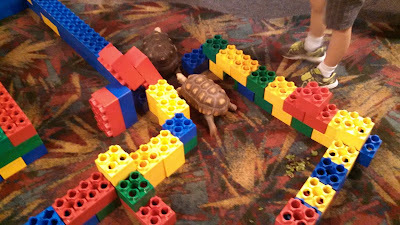 One of the museum staff members had kids set up a maze for some turtles and let the turtles try to navigate the maze. Children were able to touch and hold the turtles as well. We were in the museum for a couple of hours, and our daughters probably could have spent another two hours there. Jilbert Dairy is a short drive from downtown Marquette, but it is a must-visit for any trip to Marquette. 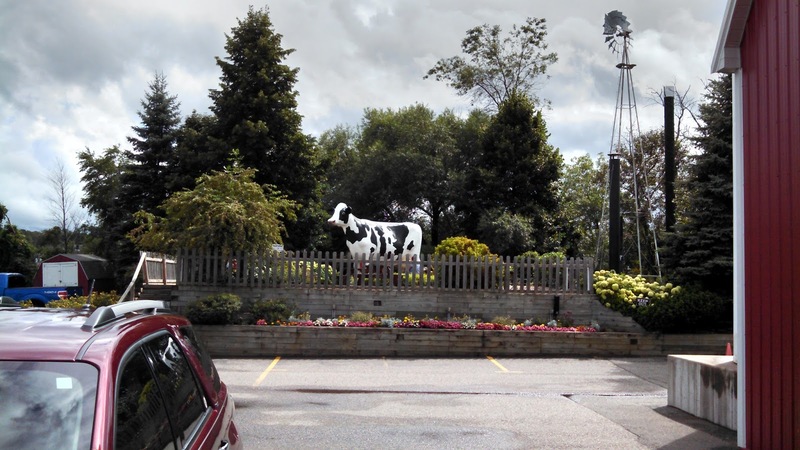 Jilbert has been providing dairy products to the Upper Peninsula since 1937. Their dairy store is designed to look like a barn, and it has a tasty collection of ice cream flavors. We visited on an overcast day, but we were able to sit in their outdoor seating area by the large cow statue. The ice cream was excellent and was worth the short drive from downtown. 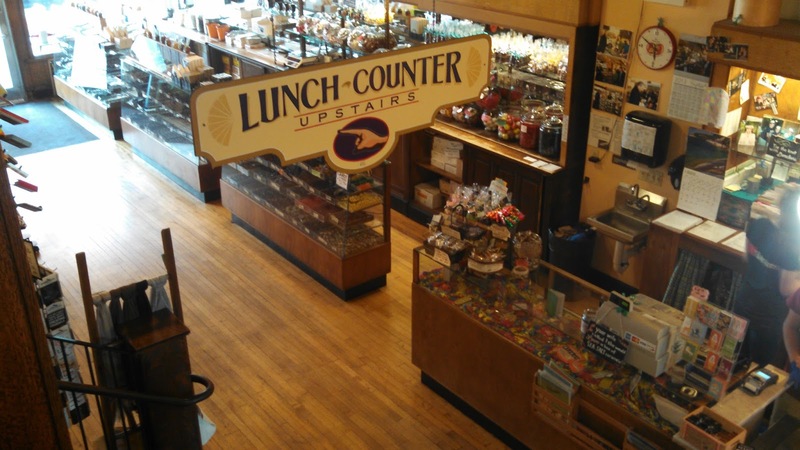 Donckers has been serving sweets to Marquette since 1896 and has been in its present location on Washington Street since 1914. Donckers includes a restaurant that serves breakfast, lunch, and dinner, a candy shop, and a soda fountain. We had lunch at the restaurant, which has decent sandwiches, and delicious ice cream from the soda fountain, but the highlight was the chocolates we picked up from the candy shop. Donckers isn't getting by on tradition alone; its chocolates are the real deal. 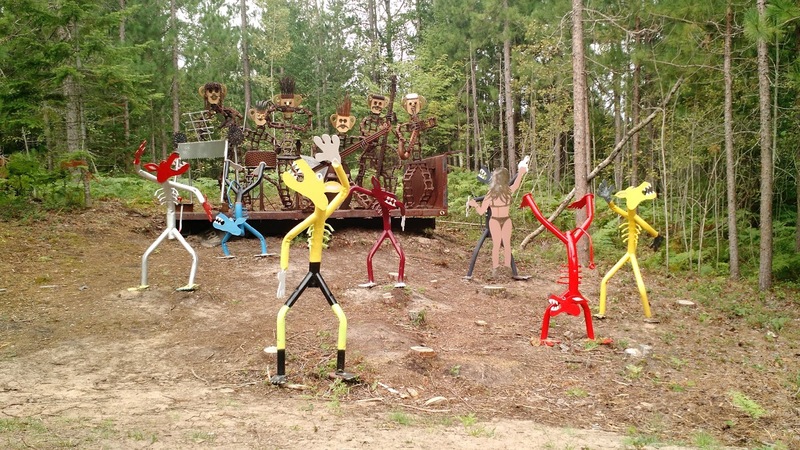 Lakenenland Sculpture Park is about fifteen miles east of downtown Marquette on M-28. We stopped at the sculpture park on our way out of town. Luckily, it is difficult to miss while heading east out of town, because we almost forgot to visit during our trip, but I was able to turn around after passing it. 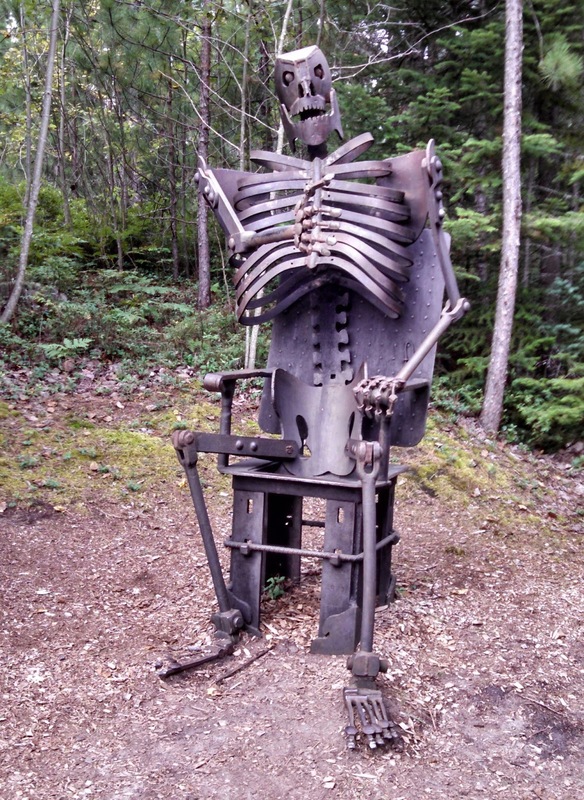 Tom Lakenen owns the property and makes all of the sculptures from scrap metal. He does not charge admission for the park, which is open seven days per week, but there is a donation bin near the entrance. 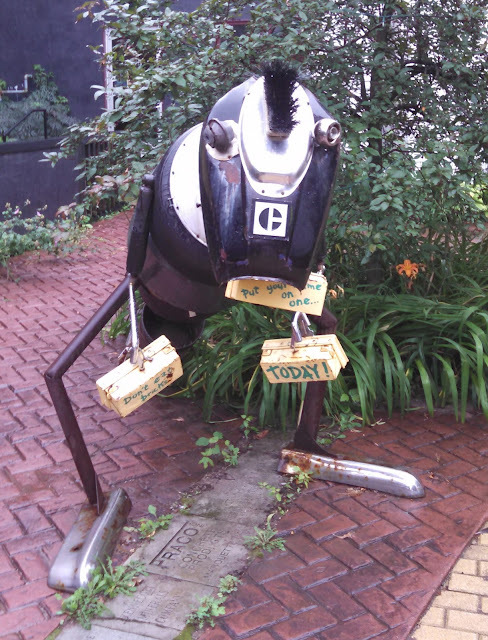 We donated a little because he is generous enough to share his art for free. Visitors can either walk or drive the trail through the park. Normally we'd prefer to walk, but we drove since we had a long drive home. We didn't seem to miss much by driving, since nearly all of the sculptures border the trail. 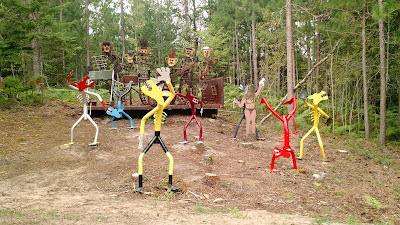 The sculptures are creative and entertaining, and I definitely would stop again on my way to Marquette or the western U.P. 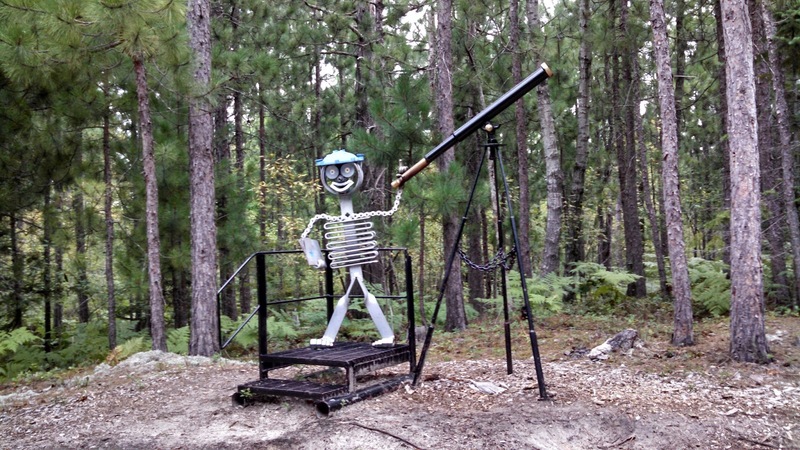 Marquette has more museums and kid-friendly sites, such as the maritime museum, lighthouses, and history museum. With only a few nights in the city, we didn't have time to see everything, but our daughters loved their time in Marquette. And we hope to visit again soon.